This PostandFly video explores the islands of San Jose, San Francisco and Espiritu Santo. 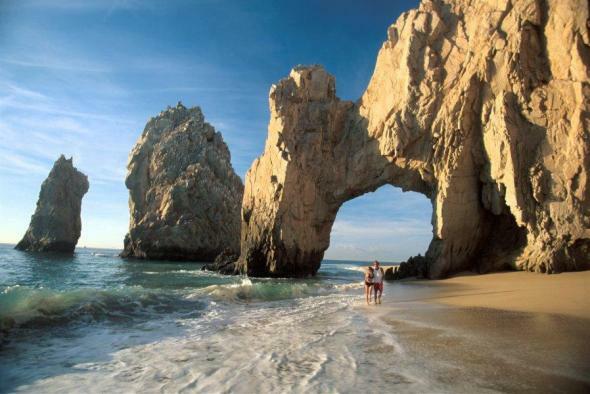 The Sea of Cortés (Gulf of California) is the body of water that separates the Baja California Peninsula from the Mexican mainland. The Sea of Cortés is thought to be one of the most diverse seas on the planet, and is home to more than 5,000 species of micro-invertebrates. A large part of the Sea of Cortés is a UNESCO World Heritage Site. 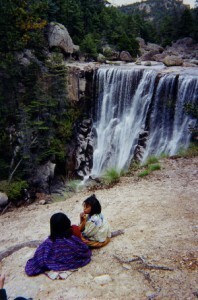 Several rivers feed the Sea of Cortés, including the Colorado, Fuerte and Yaqui. 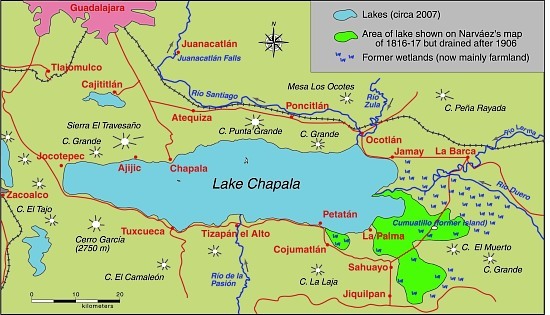 The Sea of Cortés has more than 300 estuaries and other wetlands on its shores, of which the delta of the Colorado River is especially important. The vast reduction in the Colorado’s flow has negatively impacted wetlands and fisheries. The award-winning video team at PostandFly.com.mx continue to produce some powerfully-evocative short videos focusing on Mexico’s extraordinary scenery. Want to learn more about some of these places? Before resorting to Sr. Google, try our site search function. 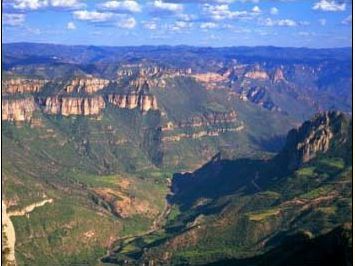 The Copper Canyon, one of Mexico’s most amazing natural wonders The rugged ranges of the Western Sierra Madre in the state of Chihuahua conceal several massive canyons, giving rise to incomparable scenery. The Copper Canyon (Cañon del Cobre) region is the collective name given to this branching network of canyons, larger in many respects (see table) than the USA’s Grand Canyon. How does Mexico’s Copper Canyon compare to the US Grand Canyon? Strictly speaking, the name Copper Canyon refers only to one small part of the extensive network of canyons which is more properly called by geographers the Urique Canyon system. As the table shows, the Urique Canyons are longer, deeper and narrower than their US rival. How was the Copper Canyon formed? According to a local Tarahumara Indian legend, the canyons were formed when “a giant walked around and the ground cracked.” Geologists believe that a sequence of volcanic rocks varying in age from 30 to 135 million years were slowly uplifted to an average elevation of 2275 m (7500 ft) and then dissected by pre-existing rivers. These antecedent rivers retained their courses, cutting down over 1400 m into the plateau surface, forming deep canyons and dividing the former continuous plateau into separate giant blocks. Centuries of erosion by the Urique river and its tributaries have resulted in the present-day landscape of structurally-guided plateau remnants, termed mesas, buttes and pinnacles, depending on their size.